Magnets could be a tool for directing stem cells' healing powers to treat conditions such as heart disease or vascular disease. By feeding stem cells tiny particles made of magnetized iron oxide, scientists at Emory and Georgia Tech can then use magnets to attract the cells to a particular location in the body after intravenous injection. The paper was a result of collaboration between the laboratories of W. Robert Taylor, MD, PhD, and Gang Bao, PhD. Taylor is professor of medicine and biomedical engineering and director of the Division of Cardiology at Emory University School of Medicine. Bao is professor in the Wallace H. Coulter Department of Biomedical Engineering at Georgia Tech and Emory University. Co-first authors of the paper are postdoctoral fellows Natalia Landazuri, PhD, and Sheng Tong, PhD. Landazuri is now at the Karolinska Institute in Sweden. The type of cells used in the study, mesenchymal stem cells, are not embryonic stem cells. Mesenchymal stem cells can be readily obtained from adult tissues such as bone marrow or fat. They are capable of becoming bone, fat and cartilage cells, but not other types of cell such as muscle or brain. They secrete a variety of nourishing and anti-inflammatory factors, which could make them valuable tools for treating conditions such as cardiovascular disease or autoimmune disorders. 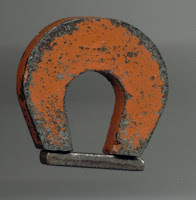 Magnetized iron oxide nanoparticles are already FDA-approved for diagnostic purposes with MRI (magnetic resonance imaging). Other scientists have tried to load stem cells with similar particles, but found that the coating on the particles was toxic or changed the cells' properties. The nanoparticles used in this study have a polyethylene glycol coating that protects the cell from damage. Another unique feature is that the Emory/Tech team used a magnetic field to push the particles into the cells, rather than chemical agents used previously. "We were able to load the cells with a lot of these nanoparticles and we showed clearly that the cells were not harmed. 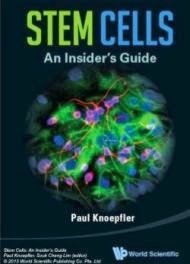 The coating is unique and thus there was no change in viability and perhaps even more importantly, we didn't see any change in the characteristics of the stem cells, such as their capacity to differentiate. This was essentially a proof of principle experiment. Ultimately, we would target these to a particular limb, an abnormal blood vessel or even the heart." Taylor says. The particles are coated with the nontoxic polymer polyethylene glycol, and have an iron oxide core that is about 15 nanometers across. For comparison, a DNA molecule is 2 nanometers wide and a single influenza virus is at least 100 nanometers wide. The particles appear to become stuck in cells' lysosomes, which are parts of the cell that break down waste. The particles stay put for at least a week and leakage cannot be detected. The scientists measured the iron content in the cells once they were loaded up and determined that each cell absorbed roughly 1.5 million particles. 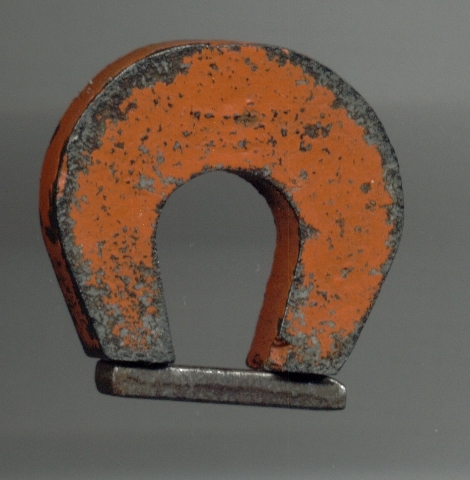 Once cells were loaded with iron oxide particles, the Emory/Tech team tested the ability of magnets to nudge the cells both in cell culture and in living animals. In mice, a bar-shaped rare earth magnet could attract injected stem cells to the tail (see photo). The magnet was applied to the part of the tail close to the body while the cells were being injected. Normally most of the mesenchymal stem cells would become deposited in the lungs or the liver. To track where the cells went inside the mice, the scientists labeled the cells with a fluorescent dye. They calculated that the bar magnet made the stem cells 6 times more abundant in the tail. In addition, the iron oxide particles themselves could potentially be used to follow cells' progress through the body. "Next, we plan to focus on therapeutic applications in animal models where we will use magnets to direct these cells to the precise site need to affect repair and regeneration of new blood vessels," said Taylor.